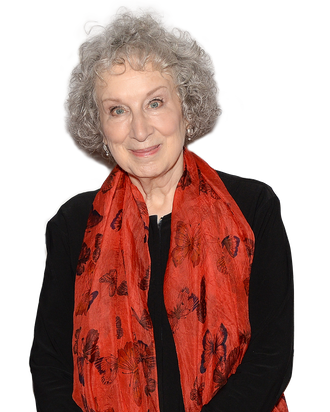 Having long ago conquered prose, Margaret Atwood has spent the past year seeing her empire expand into new mediums. Most famous is the acclaimed Hulu adaptation of her seminal dystopian novel The Handmaid’s Tale, but it’s also important to take note of a work that she’s had much more of a direct hand in: Angel Catbird. It’s a series of lighthearted graphic novels about a half-cat, half-bird superhero and the motley crew of fellow anthropomorphic animals that surround him. 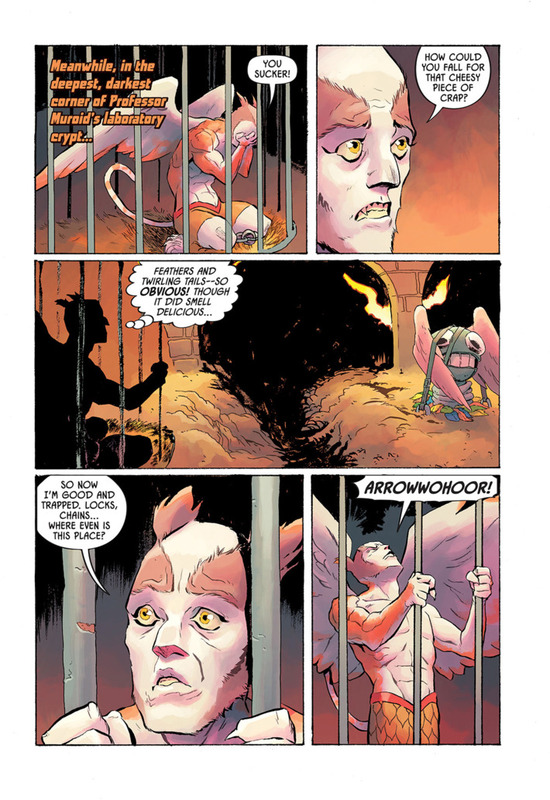 Atwood wrote it, it has art from Johnnie Christmas and Tamra Bonvillain, and it features a bevy of educational tidbits about proper care for animals. We caught up with Atwood to talk about the potential of a TV adaptation of her MaddAddam novels, the magic of puns, and Dracula. What’s it been like to see The Handmaid’s Tale get expanded into a whole big world, as opposed to the relatively confined story in the novel? Luckily, the team is very good. I had nothing to do with picking it, so I can’t take any credit, but they’re extremely good and they’re very dedicated and they have stuck to the original premise. Nothing goes into that that doesn’t have a precedent in real life. Everything they put in, they have to justify. This is where it really happened. This is where and when it really happened. I like that, and I don’t think you could have gotten better actors. It appears that the HBO adaptation of the MaddAddam series, the trilogy of novels that began with Oryx and Crake, is not moving forward. Do you think we’re ever going to see an adaptation happen? Fingers crossed. It’s a process, but it’s a slow process, and it’s very long. It’s not like making one novel. It’s a big universe. As universe creation it would be more complicated than doing The Handmaid’s Tale, for instance. What kinds of responses have you gotten about Angel Catbird over the course of your year of promoting it? What’s stood out to you? Well, it’s an unbelievable amount of press, probably because people found it so bizarre that it was me doing it. [Laughs.] Also, we had a very good press person working with [publisher] Dark Horse. There are really an awful lot of blogs and online magazines and things that are devoted to comics and graphic novels, many more than I was aware of. The pile of clippings that came in were a lot more than I’ve ever had for a novel-novel. Really? More than for your novels? That’s surprising. More, many more. I also, of course, have a fan group of people reading this who are not my usual readers. Namely, they’re 8- to 12-year-old kids. So you’ve interacted with a lot of kids as part of the promotion? I don’t personally interact with them, but I’m aware of them. Excerpt from Angel Catbird. Art by Johnnie Christmas and Tamra Bonvillain. They don’t come out to the signings? It’s different from a novel, because you can’t actually do a reading of a comic book. You don’t do the same kinds of events that you would for something made entirely out of words. Have you gotten any backlash from the pro-rat community? A rat-obsessed mad scientist is the villain, after all. Well, no, we very cleverly incorporated two virtuous rats in this story, so we could not be considered anti-rat as such. Have you accomplished your goals of raising awareness about animal safety? That is certainly happening. It’s been a very good bridge for people working that area and — as you know — we are joined at the hip with a conservation organization. They have done the science for us and the community outreach. That’s going very well. There’s been education, in-school programs, awareness, and getting people on boards like Humane Society. A pet insurance company is one of our partners. As well they might be, because they don’t want injured animals coming their way. I really need to get pet insurance for one of my two cats. The older one is too old and sick for anybody to take her on. There’s no Obamacare for cats, though the younger one is perfectly healthy and I keep not getting around to it. Yes, well, there is such a thing. Since vet bills can run you high, you might well consider it. We’re also endorsed by veterinarian’s associations. They don’t like to see mangled animals either. What’s your current cat situation? My cat situation is at the moment we’re too old, because they would be a tripping hazard. No, I’m not joking. They lurk on the stairs as you know. Oh yes, I’m sorry. I shouldn’t have laughed. You shouldn’t have laughed! How dare you! You politically incorrectly laughed. That is the story, but we had them for years and years and years and years. I know their ways well and what sorts of things can happen to them. You mentioned that you’ve been doing a lot of interviews and getting a lot of clippings from the comics world. What have you learned about the modern comics industry? I know you read a lot of comics growing up, but obviously it’s changed a lot. It’s gone through all different kinds of phases, and right now we’re in a very diverse phase of comics. We went to [San Diego] Comic-Con to launch this book — or to sort of prelaunch it — and you can find a comic about anything. You name it, there’s a comic about it. Very diverse and very genial. People seem quite accepting. They don’t seem to get into a lot of hissy fits. I would say it’s not like, for instance, the gaming world, which seems to be rather fractious and combative. I would call the Comic-Con world rather welcoming. You often have to guess what people are dressed up as, but they’re happy to tell you. Have you made friends with any comic creators? 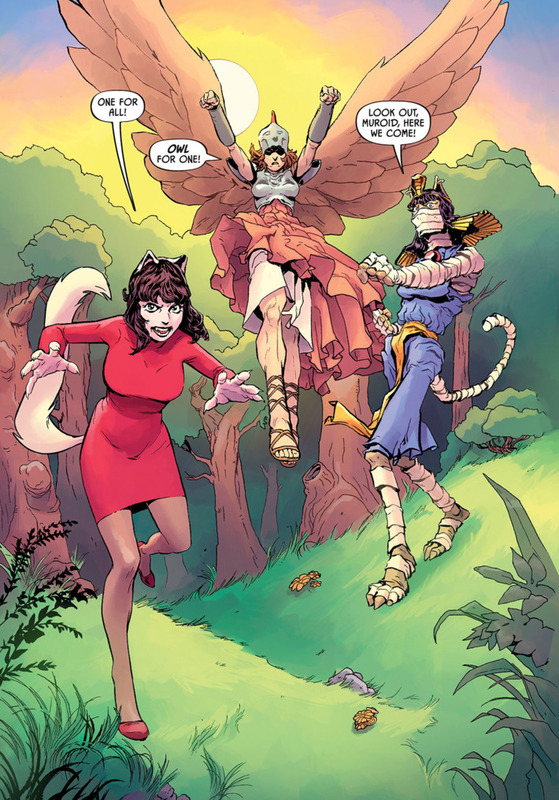 I noticed you had Angel Catbird introductions from writers G. Willow Wilson and from Kelly Sue DeConnick. Yeah, yeah, I ran into them. It was a lot of fun. [There’s] Johnnie [Christmas] — he’s my co-creator. I also know [artist] David Mack. I’ve known him for a while, and other people I follow, I don’t know them personally, but I follow what they’re doing. Are there any really good comics you’ve gotten into recently? There are some that amused me quite a bit. Do you know one called Lady Killer? Lady Killer is a James Bond type of assassin whose cover is a ’50s housewife. She has been deep-channeling all of those ads from the ’50s. [Laughs.] Got to make your house gleam. [Writer] Jeff Lemire has one called Black Hammer, which is pretty convoluted. Well, it’s good for me. Do you watch superhero movies at all? Well, I’m about to heigh-ho off to Wonder Woman as soon as I can get there. It’s getting very nice reviews. Is that an exception, or do you see other stuff? It depends on how stupid they are. If it’s just people hammering each other, I’m not too interested, but if there’s more to it, I’ll see it. In the early days of Batman, he actually had a psychology. He had a personality. If it’s just people dressed up in outfits blazing away, I’m not too interested in it. Do you think we’re getting closer to a day where comics are accepted as a legitimate form of literature in North America? I think that day has long passed. Oh, yeah. I think we’ve passed that landmark with Maus years ago, and Persepolis. They’re a way of telling stories and there’s nothing that says that they’re a worse way or a better way. It’s just a question whether they’re well done or not. It’s the same with any kind of literature. You don’t categorize goodness or badness by genre but by how well done it is, no matter what the genre. Speaking of well done, what do you like about Johnnie and Tamra’s artwork? It’s really stunning. I needed somebody who could draw an anatomically correct flying cat-bird-man-person. I was not capable of doing that myself, although I did draw comics, but my comics are pretty basic. I love those comics though. Do you think you’ll do more comics? Well, we’re turning this one into an audio version. We’re doing it like an old-fashioned radio show, with a theme song and musical interludes and all the different voices. That will be produced by Audible, the audiobook company. Do you listen to audiobooks much? Yes I do. I think they’ve seen a big upswing because so many people get stuck in traffic. I’m in New York, so for me, it’s for long subway commutes. Yeah, exactly. Getting stuck on the bridge. A vampire cat named Count Catula is one of the supporting characters in Angel Catbird. Why do you think humanity has spent so many centuries being obsessed with vampires? Well, they’re very chatty. [Laughs.] They have narrative skills. And second, I think they’ve gone through so many permutations and combinations. The original Dracula — and the backstories of Dracula, which go back to medieval times, with corpses that were walking and sucking your blood — is a very old story. They were smelly, dirty, and evil, even Dracula. Although he was suave in the movie, we weren’t supposed to think of him as a nice person. Of late, there’s … What am I thinking of? It’s a trilogy. Yes, Twilight. They actually get to be heroes. They got quite chatty in Anne Rice’s Interview With the Vampire and what have you. They got to narrate quite a lot. In Twilight, they’re actually virtuous and twinkly. Sparkly. The reason they don’t like sunlight is not because they’ll burn away to a crisp, it’s because they sparkle too much with their sparkly virtue. This was a whole new thing. One of the best parts of Angel Catbird is all the puns. Do you delight yourself while you’re writing them? Do you find yourself laughing alone while you’re typing away? They’re great. Using “Neferkitty” as a name was a particular favorite of mine. Yes, we like her. I like her too. I think it all fits. Along those lines, why do you think we as a culture are so obsessed with the ancient Egyptians? I loved them as a child. I think partly [it’s] just because they’re so visual. Of course, they are the originators of early comic books. If you look at their wall friezes, they tell stories by putting pictures in a sequence. They do. Was it liberating to be able to write in this over-the-top style, where you get to have so many puns? Yeah, of course, I’ve always written comics and drawn them. They were always over the top. I had a series in the ’70s called Survivalwoman. Some of that is borderline bad taste. And, of course, your BookTour Comix series. I love BookTour Comix. Yeah. I did BookTour Comix and I would send them to my publishers at Christmastime to make them feel guilty, to make them realize what they were doing to me.